It was back in 2015 when I first proposed the idea of contextual safeguarding. It’s an approach to child protection that was intended to assess, support, and where necessary intervene with, peer relationships, educational and public contexts where young people were at risk of significant harm. Since then my team at the University of Bedfordshire and I have been working alongside practitioners within local areas to turn this idea into a practical reality. We have developed a virtual practitioners’ network, whose membership is now nearing 4,000. Meanwhile, a Department for Education (DfE) social care innovation grant has enabled a whole-systems application of the approach to be trialled in Hackney council, helping us begin to understand the strategic and operational implications of what was proposed four years ago. First, contextual safeguarding is not a model – it is an approach to practice and system design. As such, it will vary in different parts of the country, reflecting a range of operating models, budgets, demographics and local geography. Measure success with reference to the nature of the context in which harm has been occurring, rather than solely focusing on any behaviour changes displayed by young people who were at risk in those contexts. Work to develop contextual safeguarding happens in two tiers. The first tier involves acknowledging context more explicitly in all work with children and families. This could include talking with parents about the context in which they are trying to parent their child, and engaging young people in activities where they can explore their feelings of safety in public, as well as private, spaces. Rather than just ‘safety planning’ with a young person, and therefore focusing on the actions they can take, practitioners might also do ‘safety mapping’ with a young person to put their decisions in context. They can help them to identify safe adults or community guardians they could reach out to when feeling vulnerable in their local neighbourhood. At the second tier, work is undertaken to create resources and approaches for assessing and intervening with peer groups, schools and public spaces identified as ones in which young people have experienced abuse. This ranges from thinking about how to conduct observations in neighbourhoods, as one might already do of a home during a visit, through to creating processes to refer contexts into safeguarding hubs, as one might already do for families, and holding context conferences, in place of child protection conferences, to build plans for contexts that have been assessed. At Tier 2, therefore, we not only recognise the contexts in which young people might experience harm but work actively to address them. Working in this way raises as many questions about national policy frameworks as it does about local practice. To date we have focused on working with local areas to think through what contextual safeguarding means in practice. In doing so we have been able to identify where existing statutory frameworks enable a contextual safeguarding approach, as well as elements that require further clarification. Contextual safeguarding as a term went into the government’s Working Together to Safeguard Children guidance in 2018. 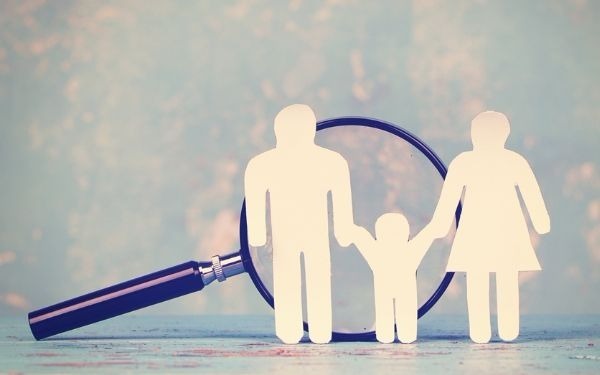 Through this insertion and some discreet amendments to text government has signalled that extra-familial forms of abuse are child protection issues, and that wider environmental factors connected to this abuse should be addressed. This approach applies to young people identified as perpetrating harm as well as those experiencing harm (many young people will be both). During assessments consideration has to be given to risk faced by a family, as well as within it, and connections between young people who are facing risk in the same context should be explored. The legislation underpinning statutory guidance, in particular information about children in need, could apply to abuse outside of, as well as within, families. How to compel action on plans associated to extra-familial context in a manner that partners are required to do so when children are on child protection plans. We have compiled all of our learning so far, and the resources developed in the process, into an implementation toolkit – freely available online to support others in developing their contextual safeguarding approach. We hope that as others begin to develop whole-systems implementation we will build an evidence base to answer some of the questions posed by the work to date, and build a shared narrative about what strategic support is required. We also hope that by sharing our learning to date we provide some clarity about what is meant by the term contextual safeguarding. It is not a term that describes the risks young people face, rather it describes an approach to addressing extra-familial forms of child abuse in which the context associated to that abuse become the subject of assessment and intervention. It is early days, and we are excited to see how the work develops as we test this ideas in five new sites outside of London, and four new London boroughs over the next three years. We look forward to working with them, and our network membership, to creating approaches to safeguarding that reflect the lived experiences of young people and their families. This is really interesting. I would be very interested in knowing more about the underpinning evidence base and how you came to develop this approach.